Armadale Management Facility, Kilburn Lane, Armadale. 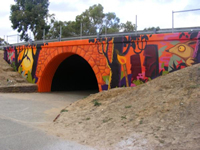 The Armadale Underpass Urban Art Project was a 10 week project that took place during Term 4, 2014. 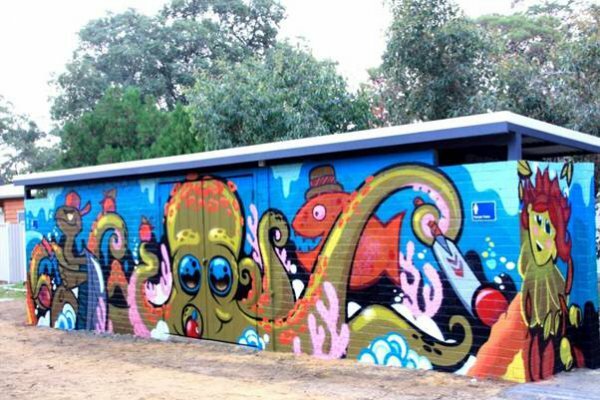 It involved participants from a previous Creative Art Project as well as other inspiring artists within the City of Armadale. Participants were involved in weekly workshops with two professional artists to further enhance and develop their artistic skills and attitudes toward art. The project encouraged young people that had an interest in art but had limited opportunity to explore their creative abilities. Local young people who encouraged to explore their identity and develop their self-confidence in a meaningful way relevant to their interests. 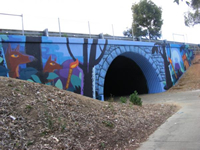 Throughout the project, participants were guided through a series of workshops to design and install a contemporary art mural at the Camillo Road underpass, that links Westfield Park Reserve and Westfield Park Primary School. 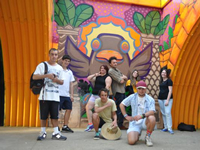 Once the art mural installation was completed, local young artists participated in further workshops to build, develop and conceptualise their own concepts to produce artworks on canvas. 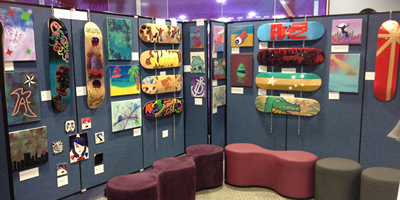 These were showcased at a mini art exhibition on 17 December 2014 in Jull Street Mall. This event allowed local young artists to guide others through a ‘have-a-go’ canvas session, producing a live paint demonstration that showcased their skills and talent to the wider community. 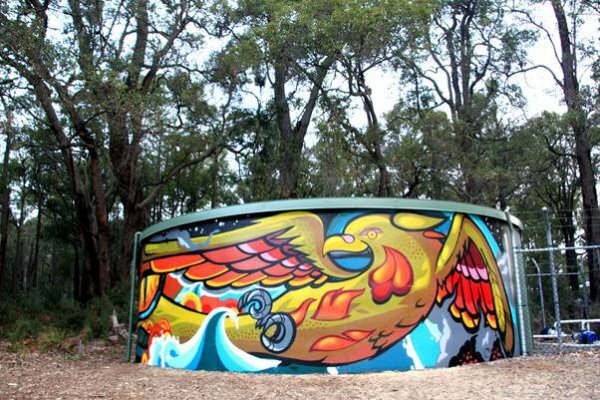 The Creative Art Project commenced in October 2013. It involved a group of talented young artists who participated in weekly workshops to develop the skills and attitudes required to produce original artworks. The aim of this project was to engage a diverse group of young people that have an interest in art but had limited opportunities to explore their creative abilities. Local youth agencies, school chaplains and workers from various youth agencies were approached to nominate young artists who they felt would benefit from the project, and also display an ongoing commitment. The project team comprised of nine talented young artists aged between 15 to 17 years who demonstrated a strong commitment to attending weekly workshops and producing the artworks on display at a Creative Art Exhibition (held on 18 December 2013). 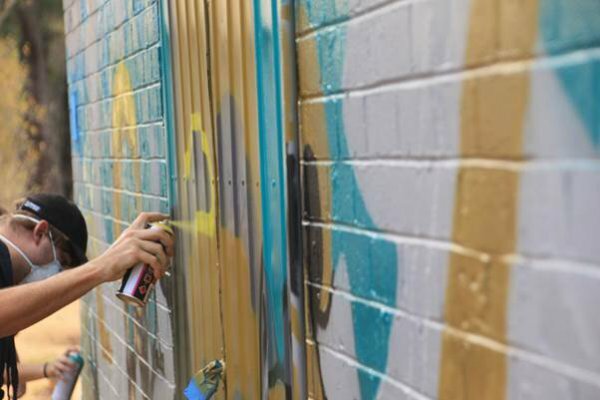 The participants worked with professional artists to develop skills around problem solving, visualising ideas and developing their own concepts to produce artworks on canvas, skate decks and spray cans. They also learnt about various techniques to execute their artwork including spray control, blending, splatter and trip techniques, as well as working with paint markers, producing stencils and exploring letterforms and character design. 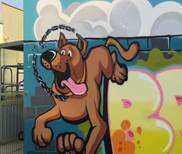 The Creative Art Project team also assisted to design and install an art mural for display at the Youth Activity Area. 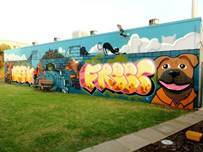 All members of the art projects hope to continue working as a group to produce positive urban art in the community. 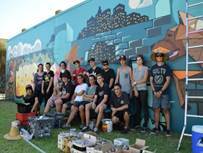 For more information contact the City's Community Development Youth Officer on 9394 5637.